Is your kitchen dysfunctional, outdated and abundant with clutter? Have you been debating whether to renovate your kitchen space? If so, look no further than Select Interiors, for superior handcrafted kitchen solutions. With over 22 years of experience and wealth of expertise, for the most exquisite fitted kitchens Bournemouth can offer, we are the company to call. Get in touch with our family-run business today on 01202 821 005, for more information or visit to our showroom in Ashley Heath. As the heart of any home, it’s imperative to have a kitchen that you enjoy spending time in that is both functional and aesthetically pleasing. If you have been thinking about transforming your kitchen, Select Interiors is precisely the premium company to help bring your wildest imaginations to reality. Our cutting-edge kitchens are made to order in any size, width or depth, and utilise the latest in edge banding technology and specialist design software. Although we are based on the South Coast, our state-of-the-art facilities are requested as far afield as Jersey, Guernsey, London and the Home Counties due to the outstanding nature of our work. As a matter of fact, we receive 70-80% of our jobs from repeat business or complimentary referrals and recommendations for our fitted kitchens Bournemouth service. This highlights our distinguished reputation across the South and beyond. You only have to have a look at what our customers, past and present, are saying about us to understand why when looking for the best-fitted kitchens, Bournemouth offers, we are second-to-none. After all, please do not just take our word for it that we are incomparable, listen to what our recent testimonials have to say about our fitted kitchens in Bournemouth and across the South. Please do not be tentative about getting in contact with our specialist joinery team today if you have any questions or queries about any aspect of our fitted kitchens, Bournemouth service. We’ll be more than happy to share our knowledge and expertise with you, as well as recommending impartial and honest design advice to help you best achieve your interior goals. What to expect from our bespoke Bournemouth fitted kitchens? We proudly offer a completely free of charge design and no-obligation quotation service. So, if you have been thinking of renovating your kitchen space but lack the initial inspiration, it’s worth giving us a call. 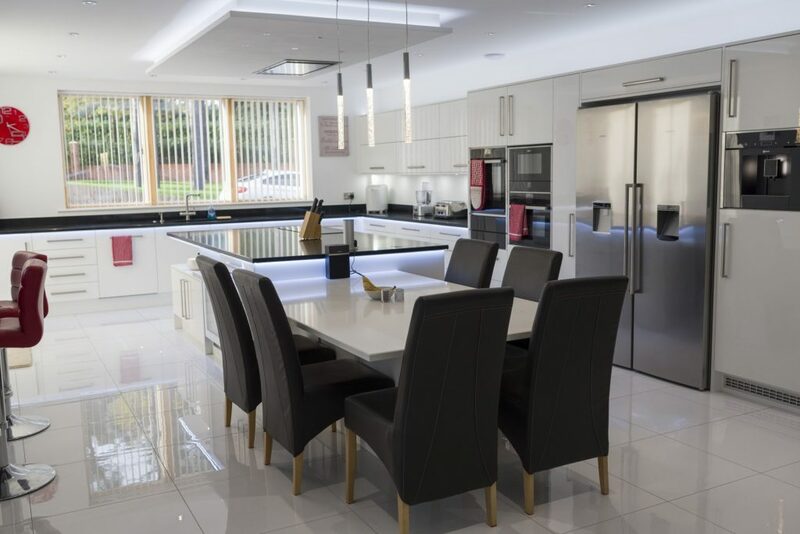 To get a complete overview of our capabilities for state-of-the-art Bournemouth fitted kitchens, it would be advisable to pay us a visit to our Ashley Heath showroom. Where you are looking for some further insight into the process of making customisable furniture or you are seeking inspiration for your project, it would be constructive to come and visit. However, if you are not able to make it to our showroom, we encourage all our clients to have a look through our regularly updated gallery to find high-quality before and pictures of our recent projects. Why should you choose Select Interiors Bournemouth fitted kitchens? For over two decades now, we have become renowned across the South for supplying, fitting and designing the most beautiful, bespoke fitted kitchens, Bournemouth has ever seen. Throughout the last 25 years, we have worked with hundreds of clients with an assortment of tastes and varying requirements, building up a stellar reputation for delivering nothing short of excellence. Our highly-knowledgeable team always strive to ensure that each fully comprehensive service we offer, is worthy of our distinguished reputation as the unparalleled provider for hand-crafted Bournemouth fitted kitchens. You can rest assured, as every aspect of your unique project will be taken care of by our professional and courteous staff, including the electrics, plumbing, tiling and so on. 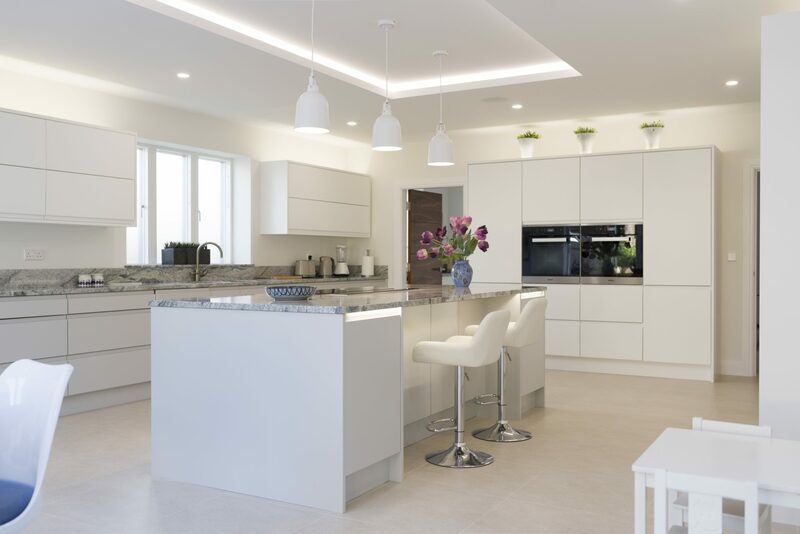 In addition to providing the most exceptional fitted kitchens, Bournemouth can offer, our highly-regarded company offers a number of additional bespoke design services to help you realise your interior goals. To further demonstrate our joinery and design expertise, we can create hand-crafted sliding wardrobes, lounge furniture, bespoke bedrooms and much more. We are entirely confident that we have the expertise, skill-set and capabilities to fulfil your wildest desires with our hand-crafted, unique furniture. 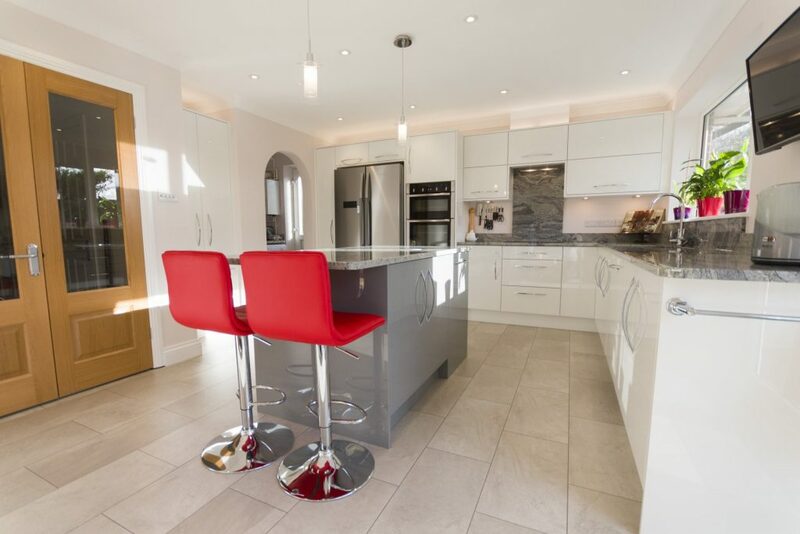 It is clear to see that for the most beautiful, high-quality fitted kitchens Bournemouth, Select Interiors is the unsurpassed provider, and only company you should call. With such glowing review from our clients, it’s no wonder that we receive such a substantial amount of our work from referrals and recommendations from satisfied clientele. We are wholeheartedly confident that you too, will be impressed by our superior skill-set, capabilities and courteous attitude. So, what are you waiting for? Are you ready to get in touch with our specialist team today, to arrange a free of charge home design visit to talk through your kitchen renovation? 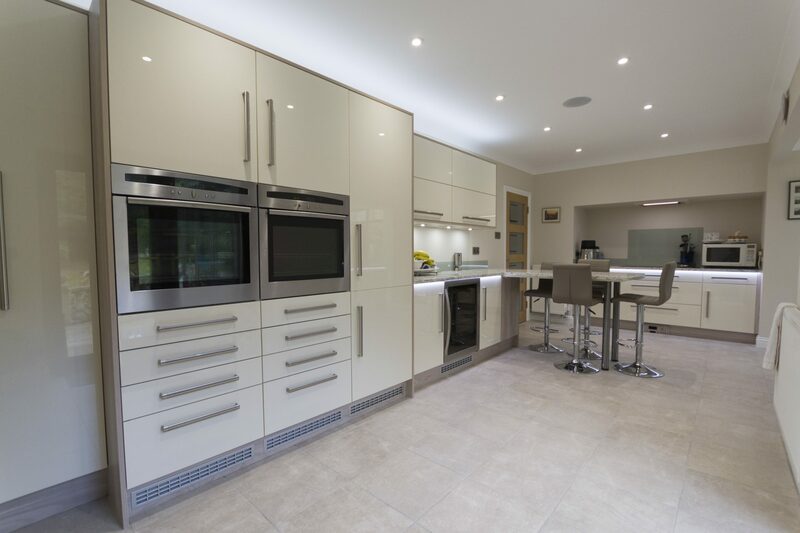 With over 22 years of experience manufacturing and installing customisable fitted kitchens in Bournemouth, the surrounding areas and across the South, we’re the only company to call today. Our opening hours are 8 AM to 5 PM Monday through Friday, and 9:30 AM to 2 PM on Saturdays. Alternatively, you can send your enquiry via email to info@selectinteriorsltd.co.uk or by filling out the contact form on our website. However you register your interest, we’ll always endeavour to get back to you as promptly as we can.